Works directly with an electronic instant start ballast or without a ballast because contractors never know what they’re going up against until those ceiling panels are lifted and every Recessed Troffer fixture is double checked. Because the dimming function is built into the tube, there’s no need to change or add a dimmable ballast and install additional wiring for the dimmer switch. These best Office lighting, long lasting dimmable 4' T8 LED tube easily replaces a Fluorescent tube in a recessed troffer fixture, and saves 50% + in energy costs. The Dimmable recessed troffer T8 LED tube is flicker free, lasts several times longer, and produces no UV rays. This 4 Ft LED tube is built to last, even if on 24/7, unlike T8 LED tube from many manufacturers that are built to be on 3 - 6 hours MAX/day. Or as some inexpensive T8 LED tube that will last around 20,000 hours, or just over (if lucky) their 5 year Warranty. 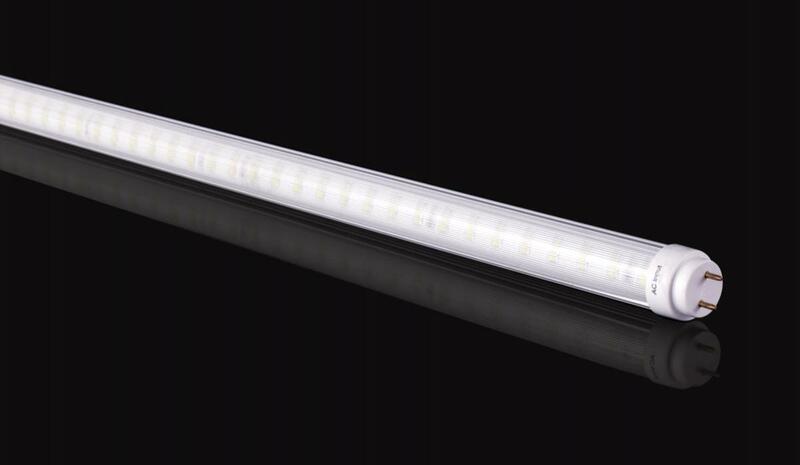 This T8 LED tube is built to last 50,000 hours, or over 10 years if on 12/7. These Recessed Troffer dimmable LED tubes will work in any Fluorescent fixture, not only LED Parabolic Troffer fixtures!